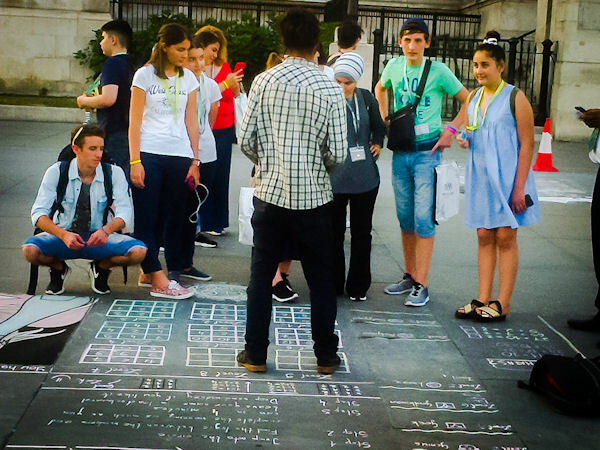 In London's Trafalgar Square a young man from Slovakia captures the interest of passers-by with puzzles he's drawn with chalk on the pavement. When I returned the following week all nine levels were ready for the keen puzzle solvers. Can you explain how to find the missing number in each of the grids in the photograph above? The first few levels are quite easy but then it gets difficult. The answers are available lower down this page for subscribers (except the answer to level 8 which I'm still trying to figure out). Do you have any comments about this exercise? Can you do level 8 in the third photograph on this page? Do you enjoy working on the puzzles on the Transum website? Please let me know by entering a comment here. Place the numbers one to nine in the table so they obey the row and column headings. 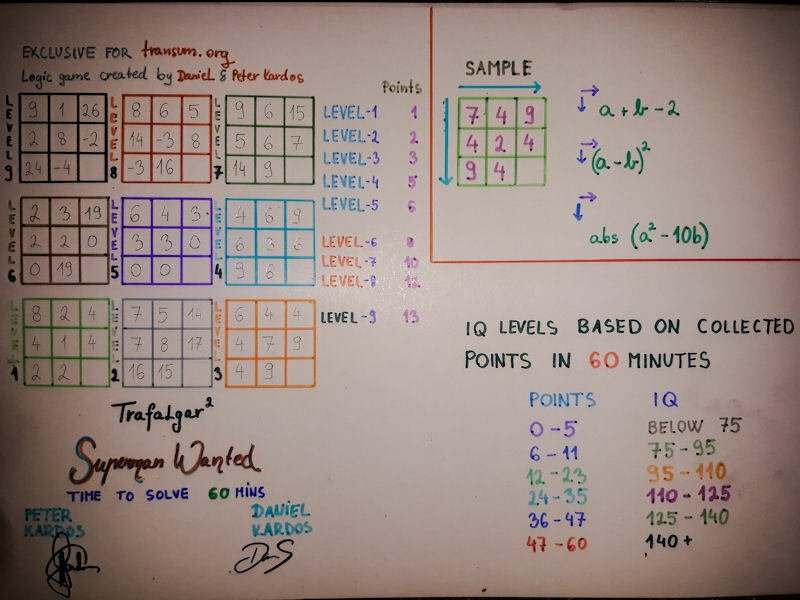 "Only levels 1-7 seem to have a linear solution (ax + by + c = z) and are easily solved. What are the solutions to levels 8 and 9?" I just found out that you uploaded those square puzzles from Trafalgar square as owner of those puzzles I found it interesting in here and I really like the idea . I solved your puzzles also. If you liked my puzzles and like to entertain people I could send to you few via email. Ps: To level eight in my puzzles- you all should think bit differently." "Hey Daniel, thanks so much for getting in touch. 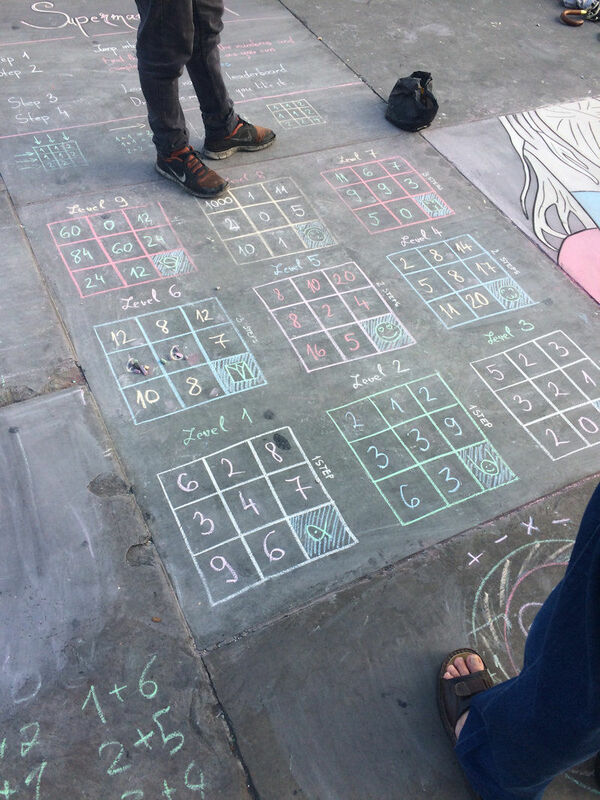 It was so good to see your number puzzles in Trafalgar Square. It was funny that the first time I saw your work only the first four levels had been completed. I went back the following, rainy day but the rain had made a good job of washing the chalk away so I went back a week later when I got to meet you and take the final photograph. Nobody has solved level 8 yet so it must be quite different to the rest of the levels. It would be great for you to provide more puzzles that I could include on this website. I wish you many more sunny days in Trafalgar Square. Best wishes." "For level 8. First column - second column then add 12. Took me a while! Love problems like these. Will definitely use. [Transum: Thanks Pete, good try, but that's not the puzzle that has foxed everyone. It's the Level 8 in the THIRD PHOTOGRAPH, drawn in chalk on the pavement of Trafalgar square that we can't work out. 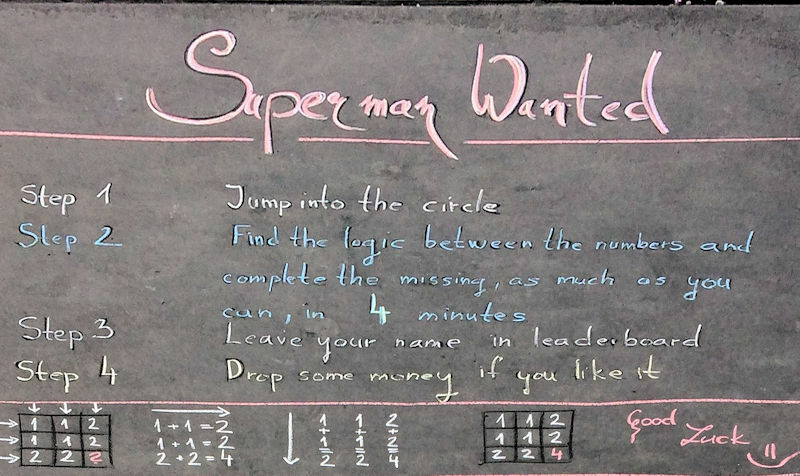 Please share if you manage to solve that!]" 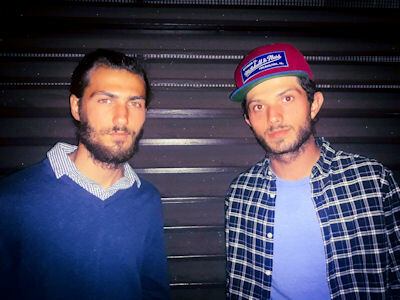 "Hi. 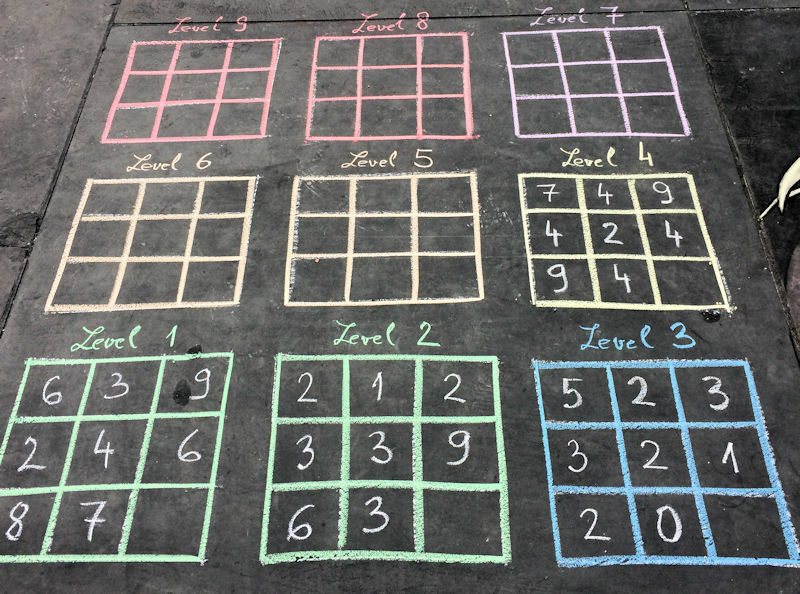 Can you tell me what the first number in the second row is for level 8 on the pavement? It is not clear on the photo. Possibly why it is challenging if people not using the correct number. Many thanks. "Thinking outside the box!. For level 8 the first row numbers are in base 2. All other numbers are in base 10. If we convert the base 2 numbers to base 10 then add vertically, the missing number is 8. Hopefully correct this time! [Transum: Your idea doesn't work adding horizontally.]" 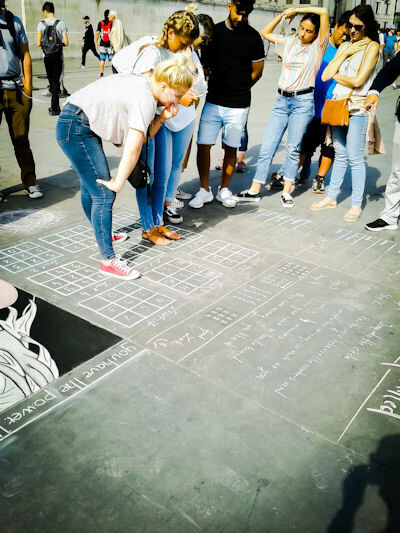 "The Trafalgar Square puzzles were very tough beyond Level 3."